​If you've come to us today, chances are you are experiencing an emergency. Call the number at the top (or bottom) of the page and immediately be connected to our award winning professional staff to get you the towing services you need quickly. Our company comes from a long line of towing veterans. We are a family owned and operated company with decades of service to the Atlanta area. Our reputation for honesty and integrity is well known in these parts. We pride ourselves on providing the finest level of service and commitment above all other towing companies in Atlanta. 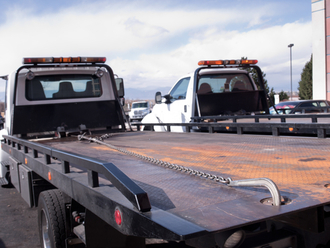 Our dedicated and certified wrecker operators are highly trained and receiving continuing education on the newest techniques recommended by the manufacturers for best practices when towing their vehicles. When you're in a crisis situation, you need the right help quickly and safely. Our 24 Hour Towing Service is here for you. ​If time permits, you are encouraged to fill out the registration form on this website to get you into our system and save you time should you ever experience any kind of roadway emergency. In addition to providing emergency services, we also can provide long-distance vehicle transport, junk car towing and flatbed hauling of machinery and equipment. So if you're currently experiencing an emergency, please call the number at the top and bottom of this screen now! With so many people carrying smart phones today, customers sometimes find us from doing Internet searches with terms like "towing service near me" or "wrecker services close to me." 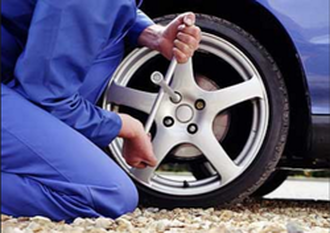 We will be happy to help you make the best of your roadside issue. As the name 24 Hour Towing Atlanta implies, our fleet operates around the clock 365 days per year. No job is too big or too small for us. 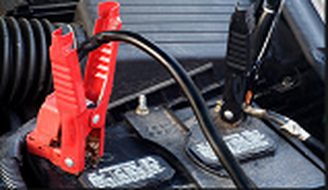 Whether you require a flat tire changed, a battery jumpstarted, you door unlocked or if you ran out of gas, 24 Hour Towing Atlanta is the one to call. We can help! We also handle everything from motorcycle towing service to big truck and bus wrecker service. We accept most major insurances and if you're checking in with us now for a non-emergency towing service and you don't have insurance, you might want to discuss that with our representatives, who can provide you with the best advice for safe, reliable and affordable towing service and towing prices. Please look through our website, explore our range of services and register with us now! It will guarantee you priority service from us in times of emergency or occasions where you need the safe transport of vehicles or materials. Remember, at 24 Hour Towing Atlanta we have no higher calling then to provide you with the finest service possible—fast, reliable, safe and affordable towing service!